Hey there! Thanks for dropping by vickidelbrouck! Take a look around and grab the RSS feed to stay updated. See you around! Put all ingredients into Crock Pot. Cover and cook on high for 2 hours, then low for 5 to 7 hours. 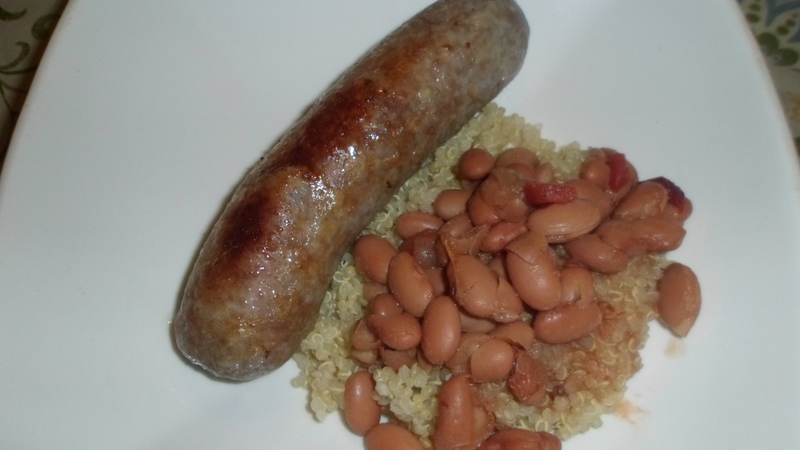 When beans are done, cook a batch of quinoa or rice and some bratwurst. Yummy! Austin’s Birthday Brunch – Quiche and Berries! Cauliflower Steaks – My New Favorite Side Dish! Stonewall Kitchen Lemon Herb Aioli – My New Favorite Condiment! Tutorials on food plating, presentations and food photography.